This event is not to be missed! 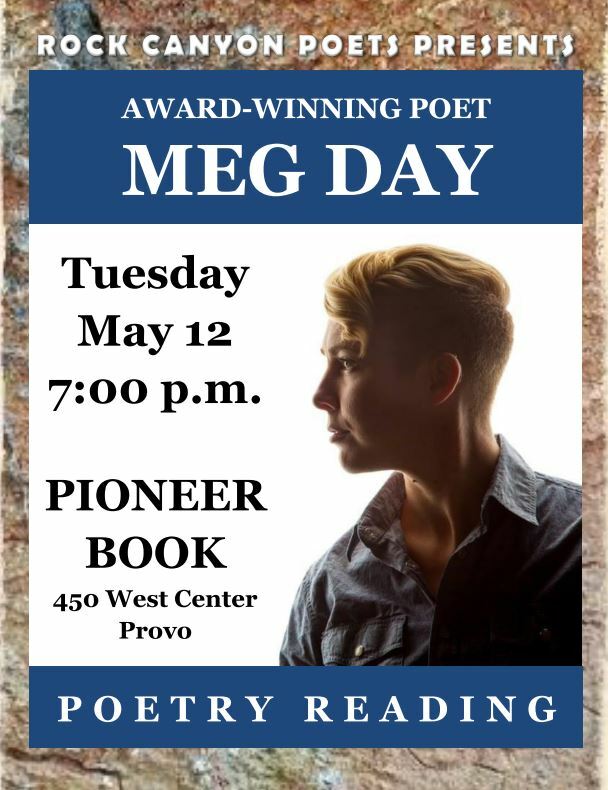 We are very fortunate to feature Meg Day just before she leaves Utah at Pioneer Book in Provo on Tuesday, May 12, 2015. To read more about Meg, and purchase her full-length book of poems Last Psalm at Sea Level visit her web site at www.megday.com. You can read a sample of Meg’s poems online here: Vinyl Poetry, Volume 10, July 2014. Follow us on twitter for updates on events, performances, and other poetry happenings.